BRENTWOOD, Tenn. & LOUISVILLE, Ky.
"At CleanSlate, we’ve made it our mission to expand access to life-saving treatment to help patients achieve the lives they want and deserve"
BRENTWOOD, Tenn. & LOUISVILLE, Ky.--(BUSINESS WIRE)--CleanSlate Centers and health and well-being company Humana Inc. (NYSE: HUM) have signed a new contract that provides in-network access for Humana Medicare Advantage and employer plan members at CleanSlate outpatient addiction treatment centers. The agreement provides in-network access for Humana Medicare Advantage Health Maintenance Organization (HMO), Preferred Provider Organization (PPO), and Private Fee-for-Service (PFFS) health plan members and employer plan members seeking treatment at nearly 30 CleanSlate facilities in eight states: Arizona, Connecticut, Florida, Indiana, Massachusetts, Pennsylvania, Texas, and Wisconsin. Using quality, evidence-based practices, CleanSlate provides medication-assisted treatment and related therapies, primarily for alcohol and opioid use disorders. 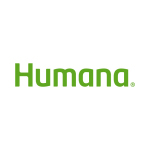 The partnership aligns with Humana’s Bold Goal strategy, a commitment to help make the communities it serves 20 percent healthier by 2020. Through interventions and community partnerships, Bold Goal is addressing some of the country’s most significant conditions and barriers to health – with a particular focus on behavioral health. Humana uses a Health Related Quality of Life (HRQoL) tool, known as Healthy Days, to benchmark community health and measure progress. The tool, developed by the U.S. Centers for Disease Control and Prevention (CDC), takes into account how a person is feeling both physically and mentally. According to the American Society of Addiction Medicine (ASAM), addiction to opioids – including to prescription pain relievers and heroin - is defined as a primary, chronic, and relapsing brain disease. Opioids killed more than 33,000 Americans in 2015. Drug overdose is now the leading cause of accidental death among Americans, with a greater number of annual related fatalities than those from car accidents and firearms, according to the Drug Enforcement Agency. Using the latest science- and medicine-based treatment guidelines, CleanSlate is bringing effective outpatient treatment to tens of thousands of new patients across the country. The company has provided treatment to nearly 20,000 patients. In 2014, CleanSlate partnered with Apple Tree Partners, a growth equity fund, to help expand efforts geographically and increase access to care in underserved communities with demonstrated need. For a list of participating CleanSlate facilities, visit http://cleanslatecenters.com/location/.